Convertible car seats are a game-changer – one car seat that will grow with your child from infancy through toddler-hood and into the booster seat years. It’s no surprise that they’re becoming more popular. We went with a convertible seat for our daughter and couldn’t be happier with our decision. Wait a second. I thought this post was about a baby carrier. It is. Keep reading. What you may not consider when opting for a convertible car seat is that you won’t have the convenient little infant bucket seat that pops in and out of the base. Something you can cart your little one around in when they’re too young to sit in the shopping cart. A place to set them down in when you’re visiting family and friends or at a doctor’s appointment. 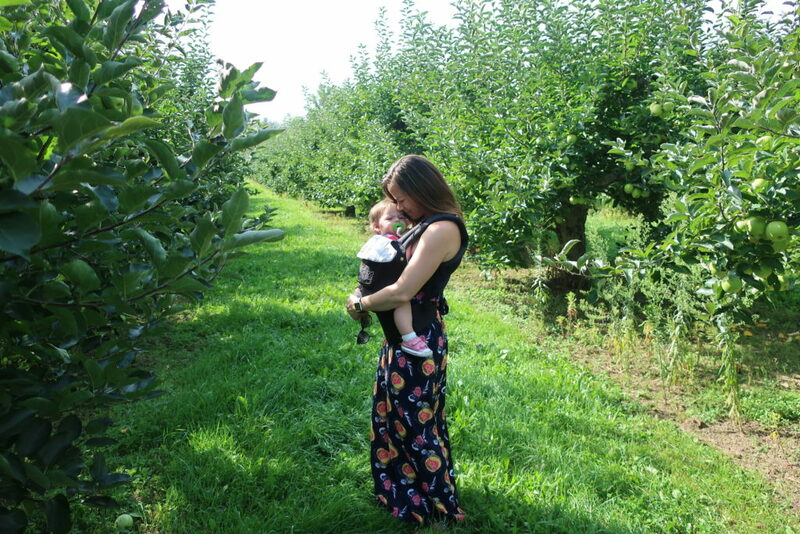 So from day one, you’re destined for babywearing. (I was totally okay with that). I have tried a variety of different carriers, but my favorite by far is the LILLEbaby Complete Embossed Luxe. It wasn’t the first soft structured carrier I used. 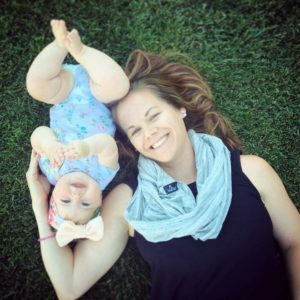 I learned through the experiences of my fellow mom friends that all babies are different. Not all babies like to be carried. Gasp! So because I didn’t want to spend hundreds of dollars on a carrier if it was going to end up in the bottom of the closet, I started with a simple $30 carrier from my local baby store. Much to my delight, my baby girl loved to be worn. (Thank goodness, because she didn’t really have a choice). 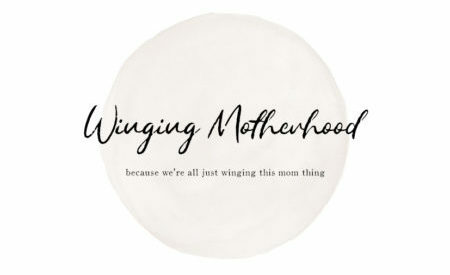 I joined a local babywearing group and started asking for input. 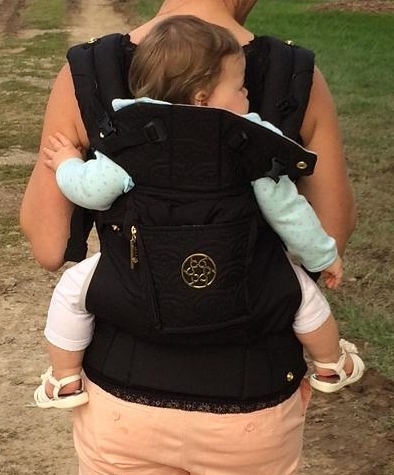 The LILLEbaby seemed to win out so I scoured the website and finally settled on the Complete Embossed Luxe Baby Carrier – go big or go home, right? Sweet Jesus, this is the Cadillac of baby carriers. For a soft structured carrier, it’s very simple, which was great for a newbie like me. There wasn’t much of a learning curve here. It has fewer straps and buckles than I was expecting. And when they say ‘Complete’, they mean COMPLETE! I wish I would have had this from the very beginning, but better late than never, right? The microcloth interior is soft, lightweight and breathable. The all-black exterior with gold accents is such a sleek, classic look. I may use more dry shampoo than I’ll ever admit, but at least my carrier has some shine. There are 6 carrying positions and there’s no need for a separate infant insert for the infant positions. 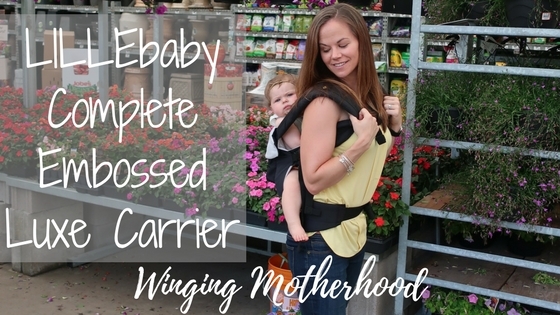 This is the only carrier you’ll need from infancy through the toddler years – 7 pounds up to 45! The seat is ergonomically designed so that your baby rides comfortably. Lumbar support – this was the big thing missing from my less expensive carrier. As my daughter grew and I wore her in the front position, I found it difficult for my body to maintain proper posture. I definitely felt the strain on my lower back. The lumbar support on the LILLEbaby Complete solves that issue. This is my favorite feature! Optional Hood – I live in Buffalo, NY – it snows…a lot. I feel better knowing that my daughter is protected from the elements regardless of the weather. In addition to providing protection from snow, wind and rain it also works as a shade from the sun (yes, sometimes we do get a sunny day here, too)! As a breastfeeding mom it provides privacy during nursing while in the carrier. Don’t need it? It easily rolls up and can be tucked away. 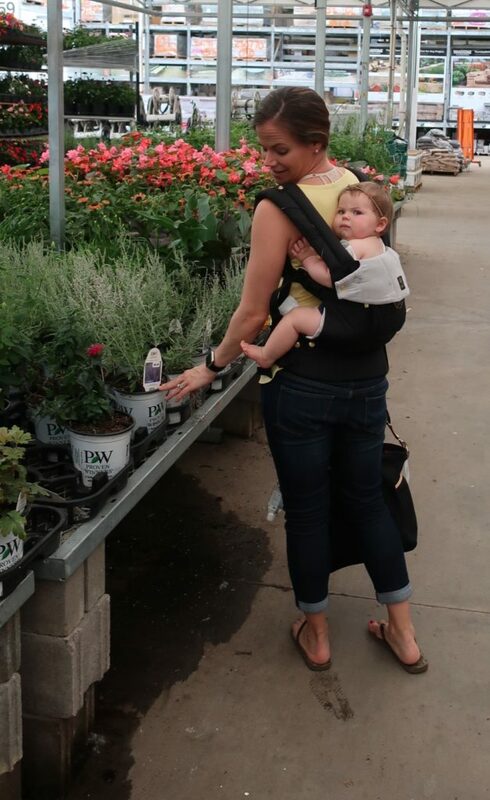 Two-way strap – speaking of breastfeeding while baby wearing…it’s so easy with the two-way strap to drop my daughter down a bit for proper positioning while nursing on-the-go. It’s also very easy to wear her backpack style – her favorite position these days. I was a little nervous to put her on my back without help, but I got it on the first try. The straps just slide right on. 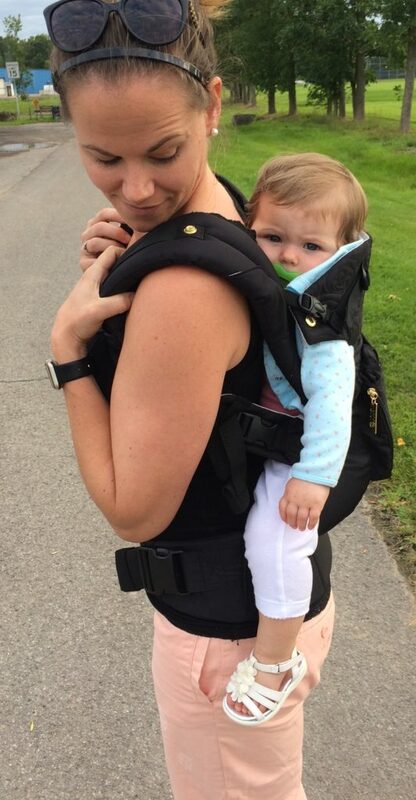 Extendable torso – this carrier really does grow with your baby. The first time I wore my daughter backpack style, she fell asleep! Passed out cold. The extra tall, extendable torso provides all the back and neck support for your larger babies/toddlers and keeps them secure. Cushion, cushion, cushion – seriously, I’m telling you, Cadillac of carriers here. The straps are wide and padded, no digging into your shoulders. The front clip keeps the straps from sliding. The waist belt is wide and SO supportive. It keeps baby’s weight very evenly distributed. And everything is adjustable. Also, a very minor feature, but one I really like, there are little elastic bands at the end of all of the straps so that you can roll up the straps and the excess doesn’t hang all over the place. Pockets – This is my 2nd favorite feature. Why don’t all carriers have a pocket? It’s right in the front (while front carrying) at the level of baby’s back. Tuck your cell phone or other essentials in and they’re easily accessible. I have a thing for pockets…I made sure all the bridesmaids at my wedding had pockets in their dresses – they loved me for it 🙂 A mom can NEVER have enough pockets! Keys, ChapStick, tissues – you’ll always have your essentials at your fingertips. The LILLEbaby Complete Embossed collection of carriers definitely lives up to all of the hype. I am looking forward to using it for years to come!